AZ Honor Flight departing from Sky Harbor en route to DC. 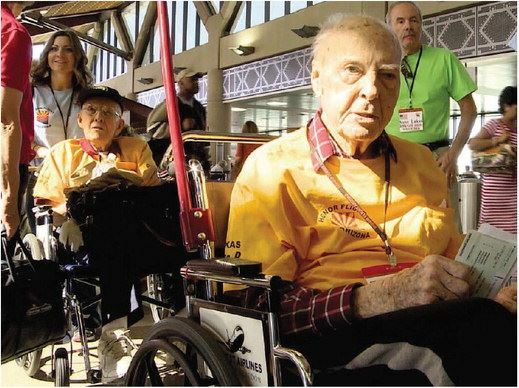 Our own member, Tammy Kendrick seen escorting one of the Honor Flight members. The USNA Arizona Parent's Club sponsored a veteran to attend.